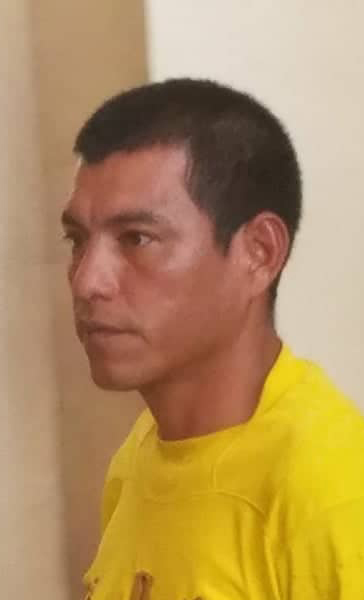 A 37-year-old Rupununi farmer was yesterday remanded to prison after being charged with the Christmas Day murder of a Brazilian farmer. Darrel Williams was not required to plead to the capital offence and was remanded to prison when he appeared before Chief Magistrate Ann McLennan at the Georgetown Magistrates’ Court. It is alleged that on December 25th at Moco Moco village, Central Rupununi, Williams murdered Elvis Aulicio. The court was told that the accused and the deceased were known to each other and they were both at a birthday party on the day in question. According to the facts presented, Williams accused Aulicio of stealing his haversack that had ‘labba’ in it. The accused became annoyed and followed Aulicio into the Moco Moco savannah where he dealt the farmer a stab to his neck. The Chief Magistrate adjourned the matter until January 17th when it will be called at the Lethem Magistrate’s Court. Previous reports indicate that the body of 44-year-old Aulicio, a farmer of Bon Fim, Brazil, was found on a track in the open savannah at about 2am on December 26th with wounds to his back and forehead.